The Trials of Constance Baker Motley tells the story of the prominent civil rights lawyer who became the first African-American woman federal judge. 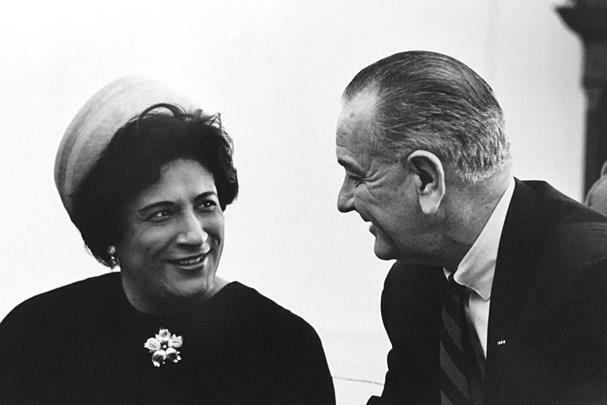 At the height of the civil rights movement, Columbia Law School graduate Constance Baker Motley (1921-2005), joined the NAACP's legal team. The only woman in the group, she left her husband and infant son in New York for weeks at a time to represent the NAACP in Southern courts. The first female Black lawyer Southern judges and juries had seen, she stunned them by winning case after case—gaining the right for Black students to enter Ole Miss, The University of Georgia, and Clemson College. After the assassination of one of her closest friends, she returned to New York—and went on to become the first Black woman NY State Senator, the first Black woman Manhattan Borough President, and, with the backing of President Lyndon B. Johnson, the first Black woman named to a federal judgeship. Joel Motley is the son of Judge Constance Baker Motley and a producer of the film The Trials of Constance Baker Motley. He is a member of the advisory board to the Roosevelt House Public Policy Institute. This event is fully subscribed. If you wish to be placed on the waiting list, please email rhrsvp@hunter.cuny.edu and indicate which event you wish to attend, and if you are a current Hunter College student.